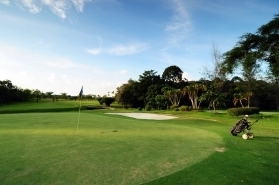 Located only 15 minutes away from the hotel, the Golf Course offer a spectacular view of the Kalimantan's wilderness and natural beauty while playing golf. Cart and caddie are available for your convenience and have a snack at our club house. 50% discount apply for Gran Senyiur's guests on green fee. For more transportation or booking, please contact out Front Office team member.